BERLIN (Bloomberg) -- BMW AG, the world's largest luxury-car maker, raised its 2010 sales and earnings forecast on growing sales in China and strong demand for the new 5-series sedan. 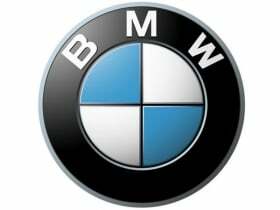 BMW predicts sales this year to rise about 10 percent to more than 1.4 million cars and SUVs, while the operating margin in the automotive unit will advance more than 5 percent, the company said in a statement Tuesday. BMW, Daimler AG's Mercedes-Benz and Volkswagen AG's Audi have boosted sales this year on surging demand in China, the world's largest auto market, and a rebound in the United States and Europe. BMW, which also makes Mini and Rolls-Royce cars, said last month the new 5-series was sold out in all markets. BMW rose as much as 7.9 percent to 41.96 euros in Frankfurt trading, the steepest advance since Sept. 9, 2009. The stock traded at 41.81 euros as of 1:16 p.m., valuing the carmaker at 26.7 billion euros ($33.6 billion). BMW previously forecast that sales would rise by a “solid single-digit” percentage to at least 1.3 million vehicles and the 2010 operating margin in the automotive unit would climb in the “low single-digit” percentage range. BMW increased first-half group sales 13 percent while second-ranked Mercedes-Benz posted a 12 percent gain. Six-month deliveries at Audi, which aims to dethrone BMW as the world's top luxury manufacturer by 2015, advanced 19 percent. “Improved business conditions on international automobile markets mean that BMW now expects to report much better” results for the second quarter and 2010, the manufacturer said. BMW is scheduled to publish second-quarter results on Aug. 3. BMW will export 10,000 3-series vehicles built in Munich to China this year to meet additional demand, spokesman Michael Rebstock said, confirming comments by personnel chief Harald Krueger published today by the Financial Times Deutschland. The manufacturer has hired 5,000 temporary workers after eliminating most non-permanent positions during the financial crisis, Rebstock said. The carmaker is in talks with unions to expand regular shifts beyond the average 38 hours, he said. BMW purchasing chief Herbert Diess said in May that the carmaker will significantly surpass its goal of reducing spending on components and supplies by 4 billion euros by 2012, helped by a partnership with Daimler. BMW is still targeting an operating margin of between 8 percent and 10 percent for 2012 and a return on capital employed of more than 26 percent for its automotive division, the carmaker said Tuesday.